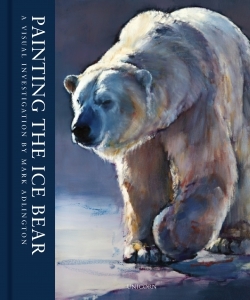 Fascinated from the outset by all things wild, Mark Adlington has travelled the globe, seeking out, observing and painting many of the rarest, most breathtaking animals on the planet. Combining intensive on-site work and preparation with countless subsequent hours in the studio creating his images, Adlington has become one of the most popular wildlife painters working today. This stunning quarter bound edition brings together more than one hundred of Adlington’s images of polar bears, following the world’s largest land predator from cub to maturity both above and below the water. The product of countless trips to wildlife reserves in northern Europe and the frozen expanses of the Arctic, these images are engaging and powerful in equal measure, as Adlington brilliantly conveys the many, and often contrasting aspects of this most charismatic of animal icons. 'This is a beautiful book which goes a long way to portraying the polar bear in all its dimensions.’ Gordon Buchanan, wildlife film-maker and presenter.